The same week famed physicist Stephen Hawking announced he was teaming with investors — including a Russian billionaire — in a $100 million effort to scientifically prove alien life exists, the tiny Westmoreland County village of Kecksburg was celebrating it. 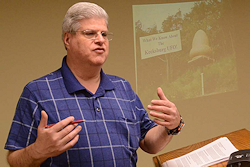 The Kecksburg Volunteer Fire Department on Sunday wrapped up its three-day UFO Festival, commemorating an incident in which a mysterious object fell out of the sky into a wooded area near the Mt. Pleasant Township village about 4:47 p.m. Dec. 9, 1965. Yesterday, in commemoration of the upcoming 50th anniversary, organizers hosted a roundtable witness discussion about the incident. 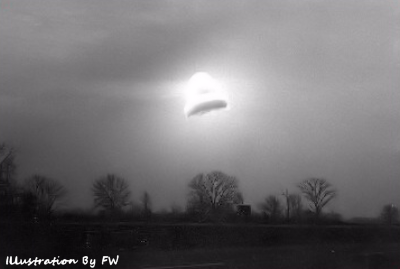 Stan Gordon, a Greensburg author and researcher of unidentified flying objects who is considered a leading expert on the incident, explained in recent years people are feeling more comfortable discussing it and are no longer fearful of being ridiculed. . . .